Peter Beinart. Photo: Joe Mabel via Wikimedia Commons. A leading Jewish columnist said on Monday that he was detained by Israeli authorities at Tel Aviv’s airport and questioned about his political activity, the latest in a series of such incidents. 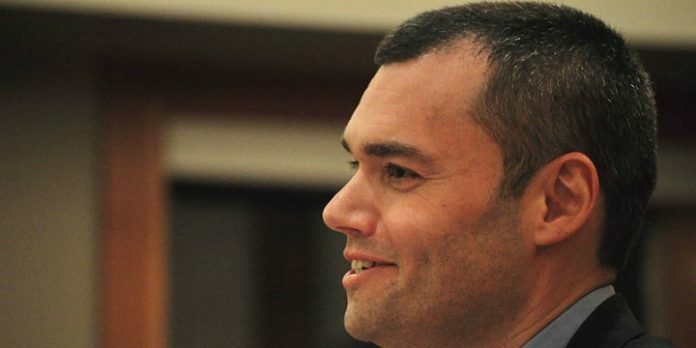 Peter Beinart, a contributing editor at The Atlantic and a columnist at the Jewish Forward, said on Twitter that he had been detained at Israel‘s Ben-Gurion International Airport when he arrived for a family visit on Sunday. In an article in The Forward, Beinart said he was taken into a room at the airport and questioned by an Israeli security official on the reasons for his visit. “Then the political questions began. Was I involved in any organization that could provoke violence in Israel? I said no. Was I involved in any organization that threatens Israel democracy? I said no — that I support Israeli organizations that employ non-violence to defend Israeli democracy,” he wrote. Beinart said he was also questioned about a protest he had attended during a previous visit, in the Palestinian city of Hebron in the West Bank. He was released after about an hour, he said. “Prime Minister Netanyahu heard of Mr. Beinart’s questioning at Ben Gurion airport and immediately spoke with Israel‘s security forces to inquire how this happened. He was told it was an administrative mistake,” the statement said. “Israel is an open society which welcomes all — critics and supporters alike. Israel is the only country in the Middle East where people voice their opinions freely and robustly,” the statement said. In the past few weeks at least three pro-Palestinian activists arriving in Israel from abroad have said they were detained at the border by Israeli security officials and questioned about their political activity.